This case study relates to a patient in his late 60’s, who was started on Ciprofloxacin a few years earlier for a suspected infection. After taking for five days he spontaneously experienced severe swelling of both Achilles tendons and significant levels of pain. The antibiotics were immediately stopped and he was subsequently referred to the physiotherapy department as he was having ongoing symptoms. From there, this patient was referred to the clinic where I initially scanned his Achilles tendons. The right side measured 1.1cm at maximal diameter, the left 1.4cm, with low grade neovascularisation, particularly on the left side. The ultrasounds that you can see to the right, are somewhat unusual in that they appear to be very uniform and diffusely thickened with no specific areas of hypoechoic foci, which is rather unusual in tendons this enlarged. His treatment had been, thus far, non-responsive to initial rest followed by a quite conservative loading program on the basis of the toxic effect of the drug, and the likely altered affected structure biomechanical properties of the connective tissue (Greene, 2002, 82, 1224-1231 ‘Physiotherapist management of Fluoroquinolone induced Achilles tendinopathy’). I first came across the issue of antibiotic induced tendinopathy some years ago and have noted particularly how few musculoskeletal therapists seem to be aware of this potential issue, despite there being much in the literature and, indeed, a warning in the BNF (British National Formulary). When training as a sonographer I came across this being mentioned in a number of books, notably McNally’s musculoskeletal ultrasound, but had never come across a definite case before this in clinical practice. The scans you see here are prior to him having any further treatment, but I am pleased to say that, following a gradual rehabilitation program and three treatments of extracorporeal shockwave therapy, which was performed when this patient was twenty months post-antibiotics. This gentleman is now virtually pain free, with just a mild amount of discomfort on the right side after long periods of sitting. 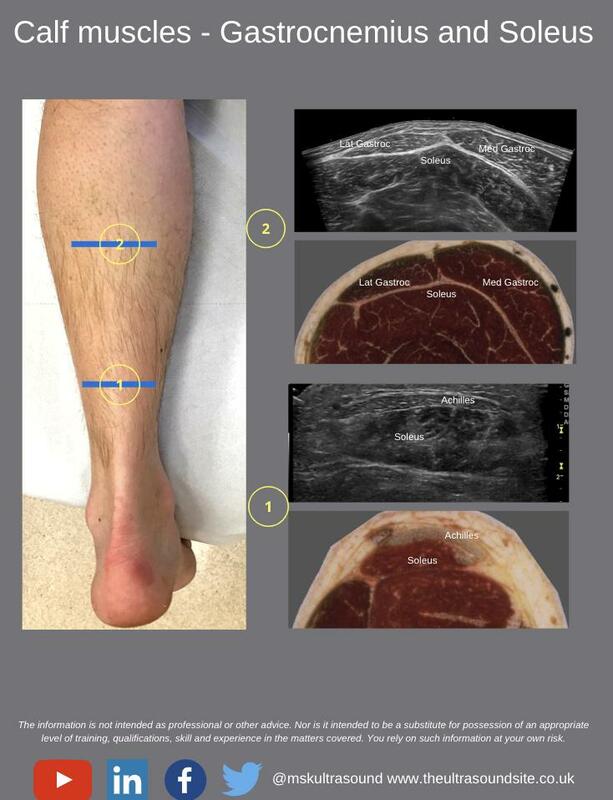 However, the left Achilles tendon still measures 1.8cm in maximal diameter and the right side 1.00cm and there is interestingly no longer any detectable neovascularisation when scanning on our Sonosite M-turbo machine. The information set out below is designed to give a synopsis of aetiology and mechanism of action of Floroquinolone induced tendinopathy. I have included below a number of useful articles in the reference list. A number of medications are known to potentially induce tendinopathic changes. These include fluorouinoline antibiotics, long term use of glucocorticosteroids, statins and aromatase inhibitors (Kirchgesner et al,2014). The fluoroquinolones are a family of broad spectrum, systemic antibacterial agents that have been used widely as therapy of respiratory and urinary tract infections. Fluoroquinolones are the most potent oral antibiotics in clinical use today. Increasingly, these drugs are being prescribed for relatively benign infections and for new categories of patients (Melhus, 2005). Quinolones are active against a wide range of aerobic gram-positive and gram-negative organisms. Achilles tendinopathy or rupture is among the most serious potential side effects associated with Fluoroquinolone use (Leone et al 2003). There have been reports of Fluoroquinolone induced tendinopathy in the literature dating back to the early 1980s, from around 20 years after this family of synthetic antimicrobials were first introduced. Although the very first published report of quinolone induced tendinopathy was in New Zealand in 1983, relating to a 56-year old renal transplant patient being treated with Norfluoxacin for a urinary tract infection and septicaemia, generally, of the initial cases reported, around 90% involved the Achilles tendon following use of a particular fluoroquinolone, Ciprofloxacin, 44% of cases were bilateral. Just one or two cases have been reported for number of other tendons around wrist, elbow, shoulder and knee (Khaliq and Zhanel, 2003). Aside for Ciprofloxacin, other common quinolones, Pefloxacin and Ofloxacin, make up the majority of the other cases reported. Achilles tendon rupture rates in normal population are estimated at around 6-37/100,000 (Seeger et al 2006). Rates of increase with quinolone usage depend on a number of other factors but may be by factor 1.5-1.7. Van der Linden et al estimate that between 2-6% of all Achilles tendon ruptures in patients over 60 years old could be attributed to quinolone usage. Fluoroqinoline antibiotics are widely indicated because of their pharmacokinetic properties, which include excellent gastrointestinal absorption, tissue diffusion and a long half life (Bergeron 1989 and Zabraniecki et al 1996), high bioavailability with extensive tissue penetration (whilst not crossing blood-brain-barrier) support the use of Fluoroquinolone antibiotics for a wide range of bacterial infections with the mode of excretion being predominantly renal. Fluoroquinolones exhibit a high affinity for a connetive tissue with concentrations in the bone measured to exceed those measured in serum, making them potentially useful in the treatment of joint and bone infections (Lew et al 1999, Greenberg et al 2000). Williams et al, 2000 in the American journal of Sports Medicine in their article ‘the effects of Ciprofloxacin on tendon, paratendon and capsular fibroblast metabolism’ stated there was a large body of data provided by clinical reports, histopathological examination in experimental studies with evidence supporting a direct link between Fluoroquinolone use, tendinopathy and tendon rupture. Some authors in the topic area have recommended that patients with a history of Achilles tendinopathy and elderly patients, should not be prescribed Fluoroquinolone antibiotics. From the literature the risks of tendinopathy appears to be dose dependent. Onset of tendinopathy following use of quinolones has been identified as early as two hours after the first dose or as late as six months to one year after the treatment has stopped. Of the 36 cases relating to Pefloxacin, the majority of cases occurred within a dosage of 800mg per day (Khaliq and Zhanel, 2003). Those of Ciprofloxacin, the majority occurred within the dose range of 500-2000mg per day, with a mean duration to onset of symptoms being around 25-30 days with Ciprofloxacin and 18-25 days with Pefloxacin (Khaliq and Zhanel, 2003, Leone et al, 2003). Risks factors associated with Fluoroquinolone in use and tendinopathy include especially patients over 60 years of age, concomitant use of glucocorticosteroids, renal failure (believed to affect excretion and thus circulating levels of the drug), diabetes mellitus (although when this is corrected for BMI, it may be that obesity is the predominant factor in relation to this), and a history of musculoskeletal disorders. Melhus (2005) reported that over 3500 cases of tendinopathy relating to quinolones had been reported to World Health Organization Collaborating Centre for Drug Monitoring. In American, the United States Food & Drug Administration (FDA) in July 2008 mandated that all Fluoroquinolone products have a black box warning indicating an increased risk of adverse events, including tendon rupture. In the BNF (British National Formulary quotes advice from CSM (Committee for Safety of Medicines) relating to Quinolones and tendon damage. It states that tendon damage including rupture occurs rarely in patients receiving quinolones and may occur within 48 hours of commencing this treatment. Also notes quinolones are contra-indicated in patients with a history of quinolone induced tendinopathy, that elderly patients are more prone to tendinitis, the risk of tendon rupture is increased by use of corticosteroids and if tendinitis is suspected then quinolone use should be discontinued immediately. The exact mechanism by which Fluoroquinolones induced tendinopathy remains not fully understood, Kim et al (2010) discuss that its believed they inhibit bacterial DNA gyrase (Topoisomerase II) which is directly involved in DNA replication and cell division. Whilst, theoretically, Fluoroquinolone should not exert a negative effect on human cell lines because the affected bacterial enzymes have little homology with mammalian DNA gyrase (Williams et al 2000), however, it is possible that Fluoroquinolones have a direct cytotoxic effect on enzymes found in mammalian musculoskeletal tissue. Fluoroquinolones have chelating properties against several metal ions and have been known to have direct toxicity to type I collagens synthesis and promote collagen degradation. Experiments on immature laboratory animals have shown that Fluoroquinolones cause cartilage damage by inducing necrosis of chondrocytes (36 hours after treatment) and disruption of the extra-cellular matrix and formation of vesicles and fissures into the articular surface. In vitro studies in culture tendon cells have confirmed clinical observation that Fluoroquinolones can increase the risk of tendon rupture (Kim et al 2010). Whilst, under normal circumstances, the rate of matrix turnover and tendon fibroblast is low (Williams et al 2000). Other precipitating factors, such as age and corticosteroid use, do not allow tendons to repair adequately, resulting in irreversible matrix alteration. It has been theorised that Fluoroquinolones disportinately affect human tendons that have a limited capacity for repair, such as older patients or structural compromise, i.e., pre-existing tendinopathy or trauma (Williams et al 2000).. In Williams et al’s study of the effects of Ciprofloxacin on tendon, paratendon and capsular fibroblast metabolism, it was concluded that at concentrations attainable in vivo inhibition of fibreglass matrix synthesis in fibroblast proliferation and increased fibroblast derived matrix degrading proteolytic activity in vitro. The effect was observed in all fibroblast populations testing, including Achilles tendon, Achilles paratenon and shoulder capsule with 66-68% decrease in cell proliferation compared with control cells at day 3 in culture. Another observation was the delayed healing reported in cases of Ciprofloxacin associated tendon rupture observed in patients who are maintained on the drug for treatment of infectious conditions (Ribard et al, 1992). Based upon the epidemiology data, when compared with other classes of antibiotics, Fluoroquinolones demonstrate s a 3.8 fold greater increase in risk of development of Achilles tendonitis or rupture (Chhlajed et all, 2002) in lung transplant recipients associated with Ciprofloxacin with 5 reported ruptures and 15 tendinopathies out of 72 patients surveyed. Corrao (2006) compared to age match controls, patients taking Fluoroquinolones with concurrent explosure to glucocorticosteroids, were found to experience a compounding effect on the risk of tendon rupture, specifically a 46 fold greater predisposition. There is very little in the literature about specific ultrasound scan characteristics of antibiotics induced tendinopathy vs reactive tendinopathies. I would be very interested to hear of any cases other clinicians have come across and information they might be willing to share – please use the comment form at the bottom of this article! The use of broad spectrum antibiotics, such as Fluoroquinolones and Cephalosporins, has markedly increased since the 1980s when they were first introduced. There was a further increase in the use of Fluoroquinolones when four new molecular entities were approved in 1996 and entered the market. They are used extensively to treat infections due to gram negative organisms and the new generation agents with improve activity, also against gram positive and/or an aerobic bacteria, they are particularly for used of treatment of community acquired pneumonia and acute exacerbations of chronic bronchitis. It is often difficult to prove a cause and effect relationship between a medication and its side effects. This is true concerning tendinopathy and tendon rupture, which may occur in the absence of any causative medication, particularly since reported cases frequently have co-existing factors. However, there are a multitude of clinical reports, pathological findings and experimental models collectively supporting a strong correlation between Fluoroquinolones use and tendinopathy. Whilst the incidence of tendon injury associated with Fluoroquinolones is relatively low in the healthy population, significant increases have been identified in patients with predisposing factors, particularly age, concomitant usage of glucocorticosteroids, renal dysfunction and history of tendinopathy. 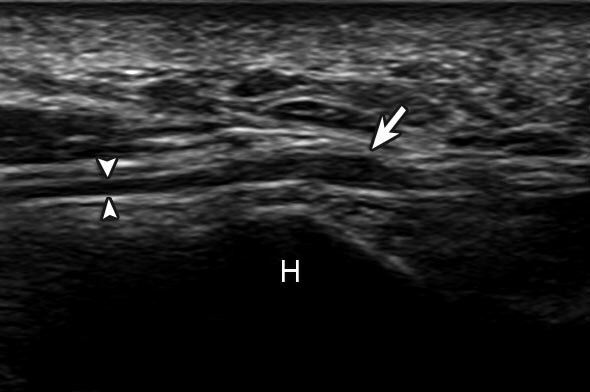 Because there can be a significantly delayed effect of onset, a careful clinical history must be taken by clinicians so as to identify where tendinopathy may have been induced by medication, particularly as the management plan may be altered to reflect that the ability for the tendon to regenerate may be impaired for some time after treatment has stopped. When assessing or treating a patient with Achilles tendinopathy or tendon rupture its always important to consider recent usage of medication which may induce these symptoms. Bergeron, M. G. “The pharmacokinetics and tissue penetration of the fluoroquinolones.” Clinical and investigative medicine. Medecine clinique et experimentale 12.1 (1989): 20-27. Chhajed, P. N., et al. “Achilles tendon disease in lung transplant recipients: association with ciprofloxacin.” European Respiratory Journal 19.3 (2002): 469-471. Corrao, Giovanni, et al. “Evidence of tendinitis provoked by fluoroquinolone treatment.” Drug safety 29.10 (2006): 889-896. Greenberg, Richard N., et al. “Ciprofloxacin, lomefloxacin, or levofloxacin as treatment for chronic osteomyelitis.” Antimicrobial agents and chemotherapy 44.1 (2000): 164-166. Greene, Brenda L. “Physical therapist management of fluoroquinolone-induced Achilles tendinopathy.” Physical therapy 82.12 (2002): 1224-1231. Khaliq, Yasmin, and George G. Zhanel. “Fluoroquinolone-associated tendinopathy: a critical review of the literature.” Clinical infectious diseases36.11 (2003): 1404-1410. Kim, Grace K. “The risk of fluoroquinolone-induced tendinopathy and tendon rupture: what does the clinician need to know?.” The Journal of clinical and aesthetic dermatology 3.4 (2010): 49. Kirchgesner, Thomas, et al. “Drug-induced tendinopathy: From physiology to clinical applications.” Joint Bone Spine 81.6 (2014): 485-492. Leone, Roberto, et al. “Adverse drug reactions related to the use of fluoroquinolone antimicrobials.” Drug safety 26.2 (2003): 109-120. Lew, Daniel P., and Francis A. Waldvogel. “Use of quinolones in osteomyelitis and infected orthopaedic prosthesis.” Drugs 58.2 (1999): 85-91. Lewis, James R., John G. Gums, and David L. Dickensheets. “Levofloxacin-induced bilateral Achilles tendonitis.” Annals of Pharmacotherapy 33.7-8 (1999): 792-795. Melhus, Åsa. “Fluoroquinolones and tendon disorders.” Expert opinion on drug safety 4.2 (2005): 299-309. Pierfitte, C., and R. J. Royer. “Tendon disorders with fluoroquinolones.”Therapie 51.4 (1995): 419-420. Ribard, P., et al. “Seven Achilles tendinitis including 3 complicated by rupture during fluoroquinolone therapy.” The Journal of rheumatology 19.9 (1992): 1479-1481. Seeger, John D., et al. “Achilles tendon rupture and its association with fluoroquinolone antibiotics and other potential risk factors in a managed care population.” Pharmacoepidemiology and drug safety 15.11 (2006): 784-792. Williams, Riley J., et al. “The effect of ciprofloxacin on tendon, paratenon, and capsular fibroblast metabolism.” The American journal of sports medicine 28.3 (2000): 364-369. Zabraniecki, L, et al. “Fluoroquinolone induced tendinopathy: report of 6 cases.” Journal of rheumatology 23.3 (1996): 516-520.